Here is a brief overview of some of the “CRISPR companies” using CRISPR technology to provide products and services in the field of therapeutics, research, agriculture, and bio-industry. CRISPR Therapeutics was co-founded by one of the co-inventors of CRISPR/Cas9 gene editing, Dr. Emmanuelle Charpentier. It is associated with developing transformative gene-based medicines for cellular therapy of genetically-defined diseases. The company in partnership with Vertex Pharmaceuticals has developed CTX001, a therapeutic program in a clinical trial phase, which is an autologous CRISPR/Cas9 gene-edited hematopoietic stem cell therapy for patients suffering from β-thalassemia and sickle cell disease with an ex vivo approach. Two of the immuno-oncology cell therapy programs CTX110 and CTX120 are in the pre-clinical phase, which is both allogeneic (donor-derived) approach to validated tumor targets. CTX110 targets CD19, an antigen expressed in various B-cell malignancies, while CTX120 targets BCMA, an antigen expressed in multiple myeloma. Other CRISPR/Cas9 gene edited programs being researched include CTX130 that targets CD70 for the treatment of both solid tumors and hematologic malignancies, regenerative medicine approach in partnership with ViaCyte, combining CRISPR and stem cells to treat type 1 diabetes, as well as, in vivo approaches for the treatment of Glycogen storage disease type Ia, Duchenne muscular dystrophy, cystic fibrosis and Hurler syndrome. Co-founded by one of the pioneers in CRISPR gene editing, Dr. Feng Zhang, Editas Medicine has its lead program EDIT-101 accepted by FDA as an Investigational New Drug (IND) and is set to be the first in vivo CRISPR medicine administered to people anywhere in the world. EDIT-101 is a CRISPR-based experimental therapy for the treatment of Leber Congenital Amaurosis type 10 (LCA10), an inherited retinal degenerative disorder causing blindness in children. The company is focused on exploring benefits of CRISPR/Cas9 and CRISPR/Cpf1 genome editing systems into a robust pipeline of treatments for cancer by CAR-T, Usher syndrome type 2a, alpha-I antitrypsin deficiency (AATD), beta-thalassemia, cystic fibrosis, Duchenne muscular dystrophy, and sickle cell disease. Caribou Biosciences, Inc. is a pioneer in CRISPR-Cas genome editing not only in the field of therapeutics but also agricultural biotechnology, biological research and industrial biotechnology. Intellia Therapeutics was co-founded by Caribou to develop curative medicines. Caribou offers antimicrobial therapies to modulate or eliminate specific strains of bacteria, animal therapeutics for household pets and livestock, applications in bio-production of proteins, vaccines, vectors, cell lines, and fermentation strains, and basic and applied biological research. Apart from this Caribou uses CRISPR platform with applications in new disease models, functional genomic screens, plants with enhanced traits (drought tolerance, disease resistance, increased yield, and healthier crops), as well as higher qualities of therapeutic biomaterials. 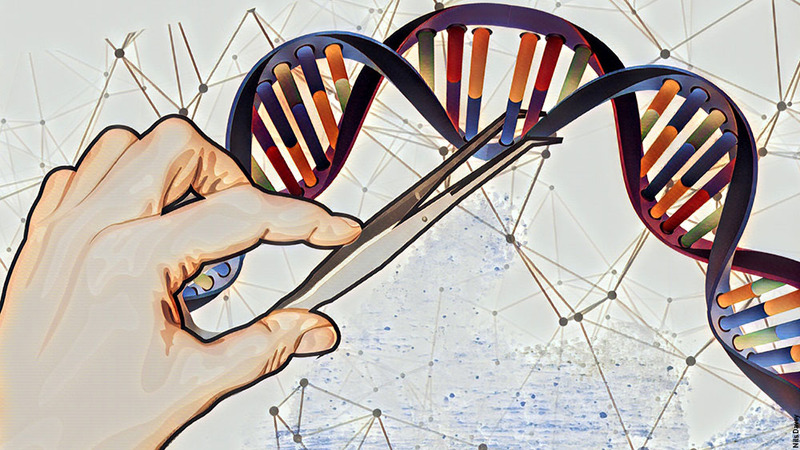 Jennifer Doudna, a co-discoverer of CRISPR gene editing, and colleagues co-founded Intellia Therapeutics aiming to develop therapeutic programs in areas of substantial unmet medical need with the tool of CRISPR/Cas9 gene editing. The company has a partnership with Regeneron Pharmaceuticals to treat Transthyretin Amyloidosis (ATTR) by an in vivo approach, which is already in latter stage of preclinical development. Other in vivo pipeline includes programs targeting alpha-1 antitrypsin deficiency (AATD), and Primary Hyperoxaluria Type 1. The ex vivo programs involve developing engineered therapies to treat various oncological and autoimmune diseases and are also focused on chimeric antigen receptor T (CAR-T) cells and hematopoietic stem cells (HSCs). Horizon Discovery makes use of gene editing and gene modulation technologies such as CRISPR to provide a wide range of products and services based on the development of cell-based models and their applications. Horizon builds human disease models and reagents derived from genetically-engineered cells to research about diseases and develop novel drugs or cell therapies. It offers comprehensive CRISPR screening services from screen design and cell line selection to sophisticated bioinformatics analysis of the screen results. 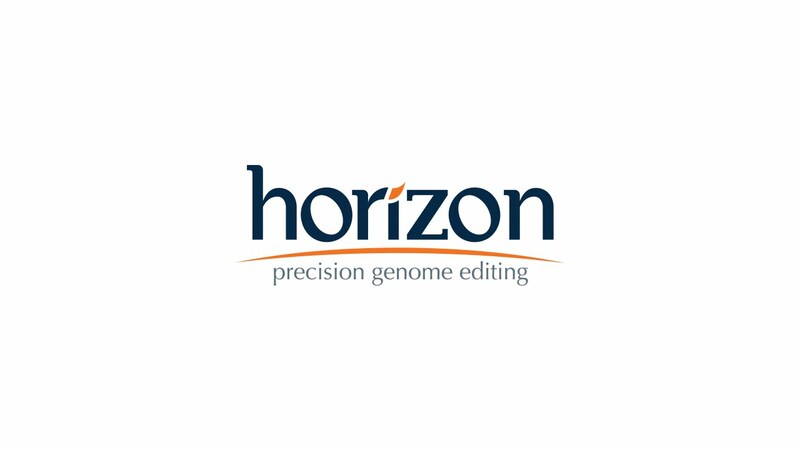 Horizon also provides genetically defined, human genomic reference standards of cell lines and purified gDNA to laboratories and manufacturers. The company serves customers in academic research centers, pharmaceutical, biotechnology, and clinical diagnostics markets. Apart from CRISPR, the company also uses other gene editing technologies such as rAAV and ZFN. Inari Agriculture aims to enhance the agricultural biotechnology sector with CRISPR gene editing technology. Inari develops customized seeds to fit local conditions, such as humidity, day and night temperatures, and soil type of a farm. The company studies about the local environment and uses computational tools to understand the genetic traits best suited for the crop to thrive there, and then uses CRISPR technology to change the gene sequence. Inari’s technology has been tested in the lab and is currently in greenhouse testing. The company is working to produce customized soybean, corn and wheat as their first targets. Beam Therapeutics focuses on the treatment of genetic diseases caused by point mutations. The company makes use of CRISPR for base editing; the technique edits only a single nucleotide base in the nucleic acid molecule without affecting the surrounding regions of the DNA or RNA. Beam Therapeutics is developing both in vivo and ex vivo approach to edit genes for the treatment of various genetic diseases. Agenovir Corporation is associated with the research and development of antiviral therapeutics against diseases caused by latent or persistent viral reservoirs. The company utilizes computationally engineered nuclease technologies including CRISPR/Cas9 gene editing system to target and disrupt pathogenic viral genomes. The company’s first target is the Human Papilloma Virus (HPV) and plans to target hepatitis B, cytomegalovirus, Epstein-Barr virus, and Herpes simplex virus. Ligandal uses the power of ligands to treat sickle cell, hemophilia and other genetic diseases with an in vivo approach. They do so by making use of nanotechnology to deliver CRISPR, mRNA and other genetic tools to precise locations inside the cell. The ligands are combined with non-viral, protein-based biomaterials that will deliver therapies enabled by CRISPR, TALEM, mRNA, siRNA, and DNA. The company has demonstrated a robust capacity to target specific blood and bone marrow cells and deliver CRISPR to human T-cells with 99% efficiency. This company provides CRISPR-based therapies to treat genetic diseases and cancer with the use of iTOP (induced transduction by osmocytosis and propanebetaine) technology. With the advantage of increasing salt concentration (osmocytosis) combined with the transduction compound propanebetaine, the iTOP method enables the cells to uptake large fluid-filled vesicles containing CRISPR guide RNAs and Cas9 inside cells, thus bringing permanent cellular changes. It helps to deliver macromolecules to the cells in the absence of viral DNA and makes the CRISPR/Cas9 technique more efficient.